Stirling Properties was recently part of the brokerage team that landed DXC Technology in its new office location in New Orleans, Louisiana. 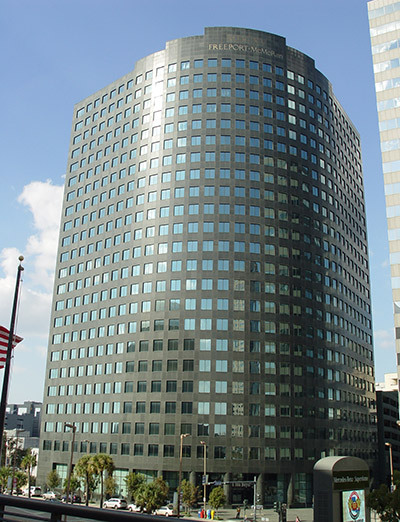 DXC Technology has reached a lease agreement for multiple floors of the Freeport McMoRan Building located at 1615 Poydras Street, across from the Mercedes-Benz Superdome in the city’s Central Business District. Gaines Seaman, Stirling Properties’ Sales & Leasing Executive, represented the building owner in the transaction. DXC Technology will initially occupy two floors of the building and is expected to begin operations in January of 2018. The company has future options to lease up to 10 floors representing a total of 178,000 square feet of commercial space. Freeport McMoRan Inc. will continue to maintain a major presence in the building and in New Orleans, according to a release issued by Louisiana Economic Development (LED). The Freeport McMoRan Building will house the permanent operations for DXC Technology’s new Digital Transformation Center in New Orleans, where the company will eventually employ 2,000 professionals in one of the largest economic development deals in the history of Louisiana. The announcement that DXC Technology had selected New Orleans to establish its Digital Transformation Center was regionally celebrated back in November. This economic development win further solidifies the emergence of New Orleans as one of the top cities for young professionals to live and work, and reinforces the momentum of our area as a major technology hub. Stirling Properties is proud to have been a part of this historic accomplishment for our region.